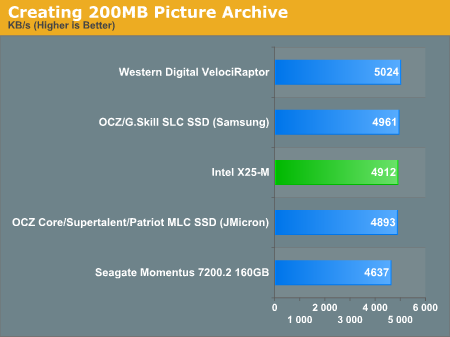 Based on the Iometer results I knew for sure that there was an issue with random write performance on these SSDs, the only common thread between them being the type of controller (JMicron JMF602) and the MLC flash devices being used (Samsung). But I wanted to see if I could get the high latency writes to appear in a real-world benchmark-able way. 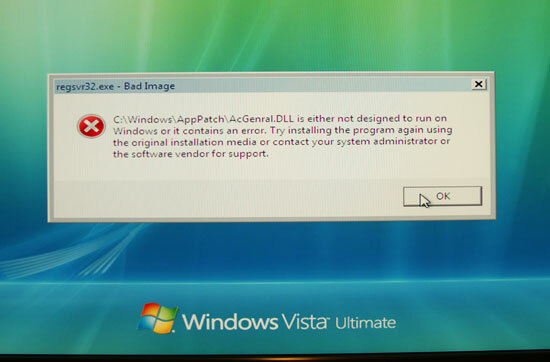 The first indication that something is wrong actually comes from running the Windows Vista install itself, the MLC drive takes 25% longer to complete the install (let’s just ignore the part about the full install not being fully functional upon completion). Clearly there’s an issue with write speed. I ran into something similar with OS X, but I didn't put it together until now. 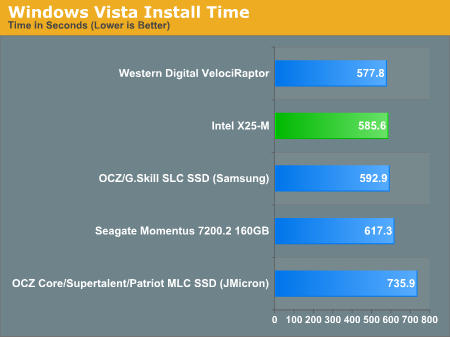 It looks like the Vista install doesn’t do well with significant delays when writing files to the disk. The only way I could actually get a reliable Vista install on the Core drive was by cloning another drive with a working Vista image on it. 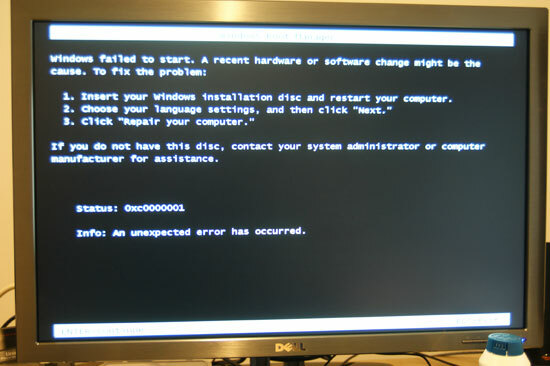 You'll notice a new column called number of pauses; this column is the number of times all disk activity ceased on the system, causing the whole machine to stutter for a moment. You'll also notice that there are zeros in this column, unless the drive uses the JMicron controller. Also note the randomness of the problem, the OCZ, SuperTalent and Silicon Power drives all use the same hardware yet I saw tremendous variations between runs. This is a manually timed test but the rest of the drives didn't vary nearly as much. It's also important to note that while the Seagate notebook drive performed similarly to the Core, it didn't suffer from the pauses. What this helps illustrate is the nature of the problem, it's very bursty - you get a period of very high performance followed by an abrupt stop. The abrupt stops, as we now know, are these 0 - 2 second write latencies where everything in the system is completely starved of data until the write is complete. From the CPU's perspective, it expects new data on a nanosecond scale, waiting a full second for anything is deadly for performance. Another way of quantifying the impact is looking at how long it takes to launch an application when we're in this high-latency write period. I tried extracting the same 5GB archive and launching PowerPoint 2007 or Photoshop CS3 (not at the same time). 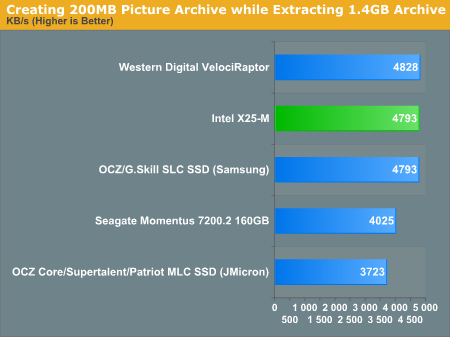 All of the drives took longer to launch the applications, but while the SLC and Intel MLC drives still performed in a league of their own, the MLC drives behaved like conventional hard drives. Try running an application while your disk is busy doing something else, or better yet, try running a couple - they take forever. 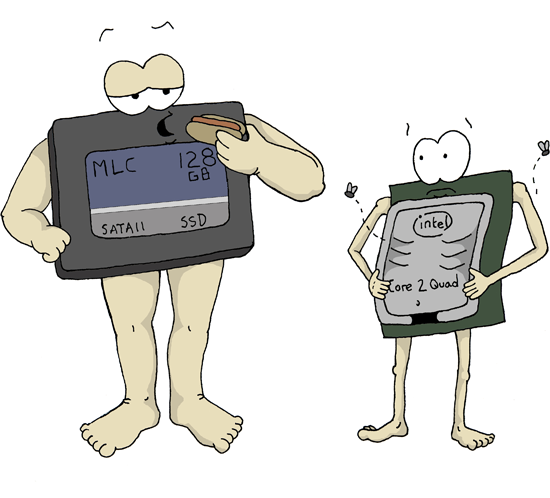 SSDs fix that problem, or at least they're supposed to. These MLC drives don't, at least not always; thankfully the SLC drives and more importantly, the Intel MLC drive don't exhibit this problem.